There are many cosmetic surgeries that revolve around the eyelid, usually to change the shape of the eyelid or to reduce the signs of aging. However, the eyelid can also be damaged due to trauma or disease, requiring reconstructive surgery to repair the eyelid. 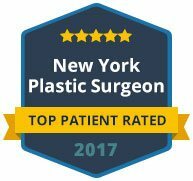 This is a delicate and intricate surgery that requires the extreme skill of a talented facial plastic surgeon. To repair or reconstruct an eyelid, often tissue, fat and skin grafts must be used to recreate the shape of the eyelid. Since it is a small and moving part of the eye structure, it can be a very complicated surgery to perform. In some cases, an eyelid reconstruction may take more than surgery to complete. Attention must be adhered to every detail to ensure the eyelid is able to function correctly, while retaining the shape of the eye identical to the other eye for a balanced look. 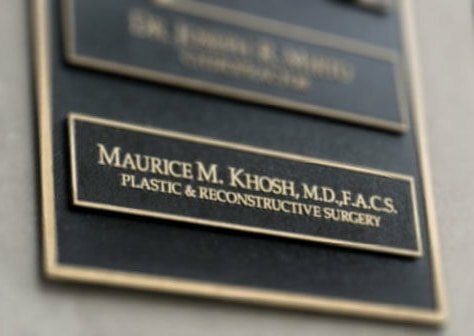 Dr. Khosh specializes in facial reconstructive surgery and has received top doctor awards as well as acclaim within the plastic surgery medical community. When undergoing eyelid reconstruction surgery, you want a surgeon that is experienced in this type of complex reconstruction. 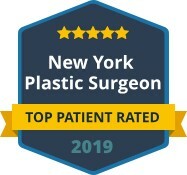 Dr. Khosh is dual board certified in both plastic and cosmetic facial surgery, and has extensive experience in all types of facial reconstructive surgery, including repairing damaged eyelids. If you have had one or both eyelids damaged in an accident or due to skin cancer or other diseases, trust the experience of Dr. Khosh to restore your eyelids back to their previous shape. Contact us today to schedule your appointment for a private consultation.